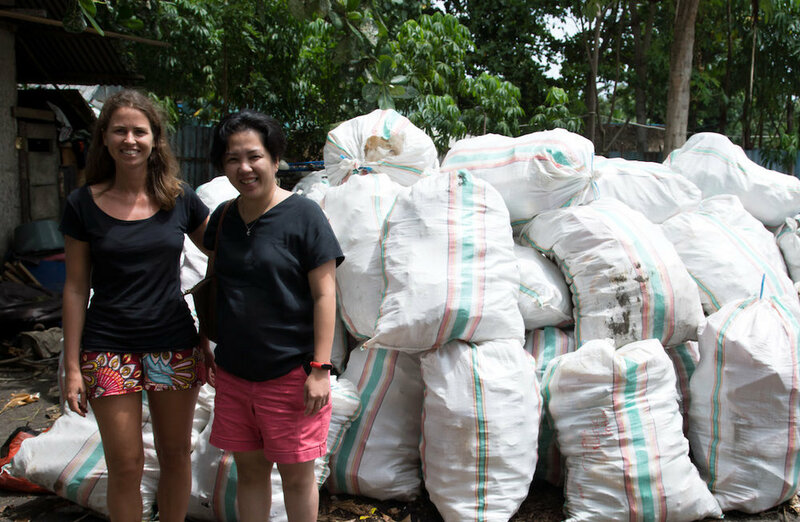 What does the trash from the ocean has to do with functional fabrics? It might seem like a trickery riddle, but is not. At the “Performance Days 2018” in Munich - the most important fair for innovations, trends and new fabrics in active wear - the focus topic that intended to trigger discussion on the sustainability on the entire production chain of fabrics was “water”. Christian presented „Diving into Plastic“ leading through the topic from his worldwide personal experience to current projects and possible solutions, including, of course, the No-Trash Triangle. Efforts made by volunteers, kids and guests, haven’t been for nothing. Dirty hands, back pain, sun burned skin, haven’t been for nothing. Counting bags, weighting bags, carrying bags, haven’t been for nothing. CV. 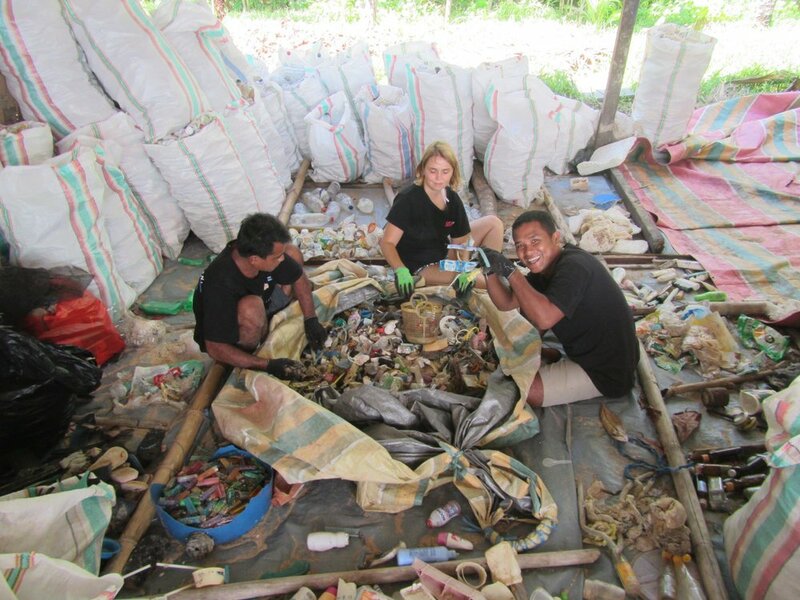 Daur Sinar Gemilang (one of sister company of Megamas Group in Manado) agreed to take care of Bangka Island’s sorted trash!!!!!!!!! 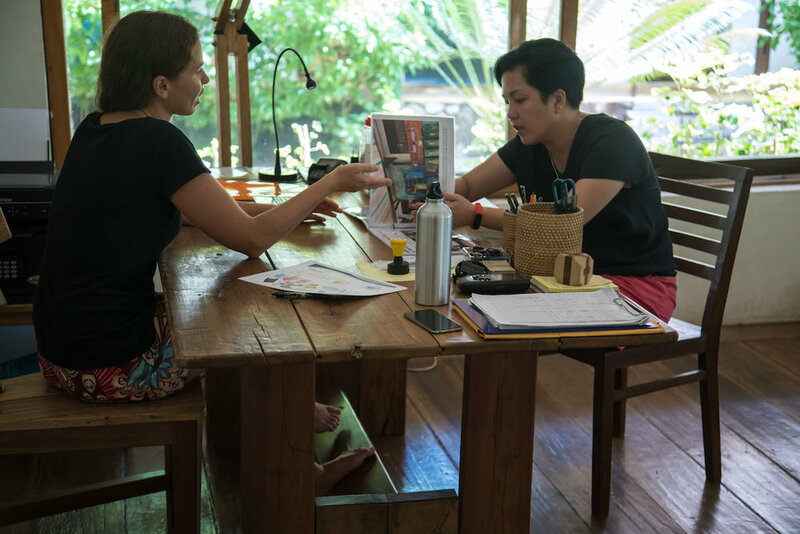 The first time I met Amelia, I expected a formal meeting in a coffee shop in Manado but it turned out to be a completely informal appointment, at her place, just before she had Sunday lunch with her family. She spoke with me about her new company that just started in June 2018; they have been collecting plastic bottles, aluminium, paper and packaging boxes from hotels, restaurants, banks and many other office building in Manado. I then invited her to our island, to have a look at our sorting station and to better explain her the initiative: how did it start, who is involved and what is our goal. It turned out that we have similar project ideas for the future, and hopefully this is just a start of a great collaboration! 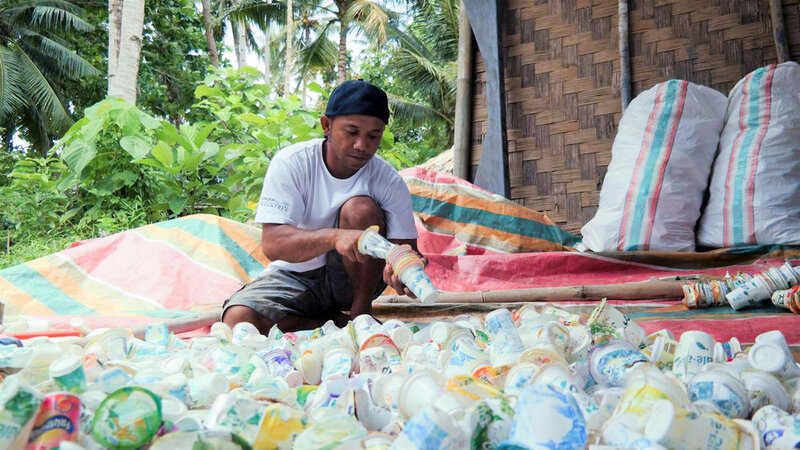 The 13th of November a truck collected everything and on 14th November the first pressed plastic batch was sent to Jakarta! BioN-TT: Let's start with Jasmine and Nico! “Within the BIO No-Trash Triangle program we will have a synoptic overview on the marine plastic problem in this region covering all coastal habitats and levels of the food web. 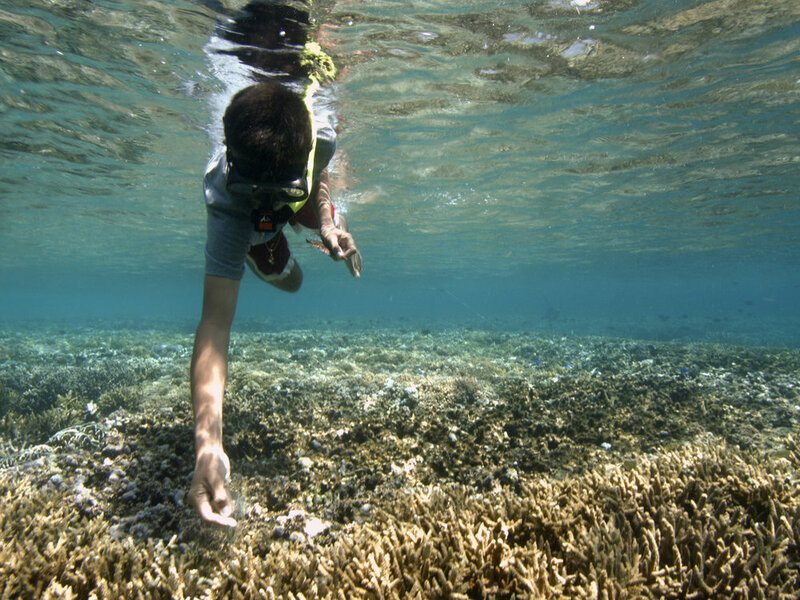 We need to understand the problem in depth and we have to stop it at the source!“ said Marco Segre - owner of Coral Eye Resort and marine biologist himself. Since he opened Coral Eye in 2011, he is offering 6 scholarship per year to students with different project related to tropical marine environment, but from now on he will give priority to the ones dedicated to the impact of plastic on the marine environment. And here they are! 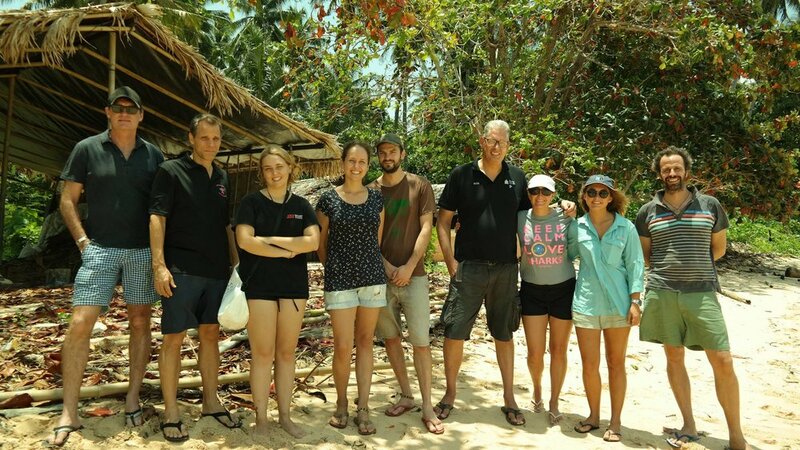 Jasmin Müller and Nico Bill from Oldenburg/Germany - guided by Prof. Peter Schupp - will stay for two months on Bangka Island to study the distribution and impact of plastic waste on the coastal ecosystems in the area. 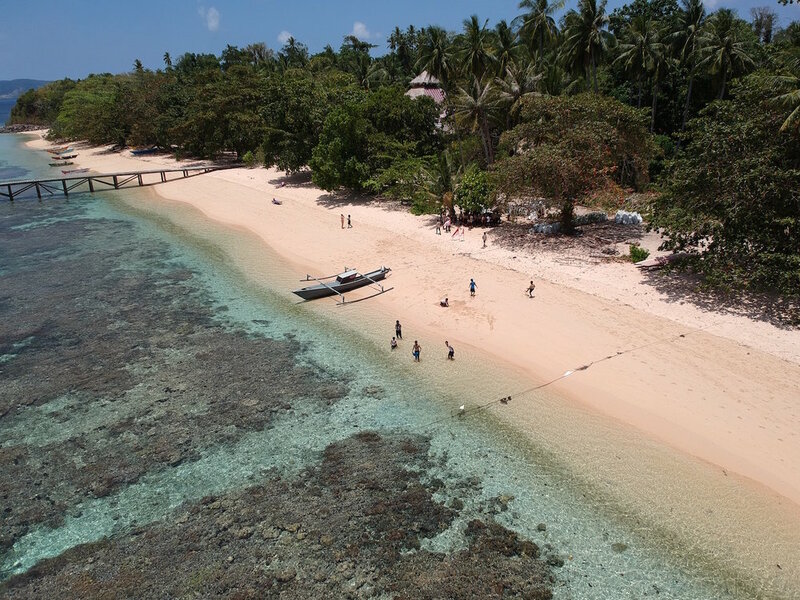 They will conduct a baseline analysis of plastic waste on the beach and in the adjacent reef and investigating the impact of plastic on coral and fish. I called Mr.Jody (Head Master of Junior High School of Lihunu Village) not knowing how he would react to my question: “Can I visit you and your students in the next days and maybe ask you to help us cleaning the beach and sorting the plastic? “ I really thought it would be less easy: he was simply enthusiastic, and the next days I walked with Elmar from Coral Eye to the school - an half hour walk in the jungle - without neither a clear idea on what to tell them, but we made a deal: two Saturdays per month 15 students will join Coral Eye beach cleaning and will learn how and especially why to sort the trash. Mr. Jody told me they already have a “cleaning program” at the school, so basically once a while they camp on a beach, collect the plastic and then…make a fire. I’ve figured a bonfire of plastic with all the kids around, and I shyly ask him: “Do you know that burning plastic generates toxic fumes?” He had no idea. We believe in the next generation! The New school year starts with a presentation on plastic in the environment at the Lothar-von-Kübel middle school in Sinzheim, Germany. 450 very interested pupils and their parents follow at marine biologist Dr. Miriam Weber's talk about her experiences related to plastic pollution in the sea. It’s not just a problem for the animals living in the ocean but also for humans. Causes, effects and solution were discussed: No-Trash Triangle as lighthouse project! Grade 1, 2 and 3 school children from Lihunu found themselves as plastic detectives at a special Saturday school event. They investigate beach sand samples for microplastic under the microscope, studied live animals as sea anemones, soft corals, hard corals, clams, worms, crabs, starfish and sea squirts in aquaria, and learned about how plastic is entering the marine foodweb. During an expedition from the school through the village down to the shore, the kids had to solve the case of a clownfish who became ill and eventually died from having eaten too much plastic. At the beach, the plastic detectives analyzed the evidence collected by hand and also from pictures taken during the walk, and reflected about their own contribution to the problem of plastic litter in the ocean. 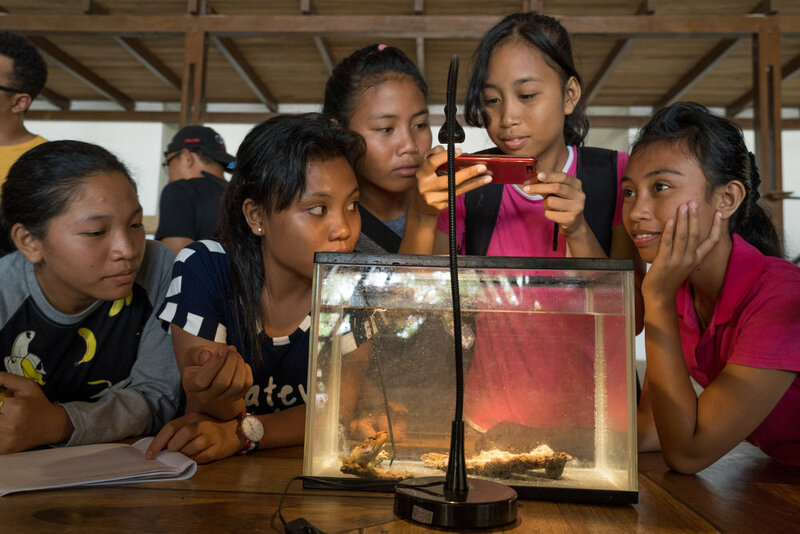 The event was conducted by AQUEIS.org, Suara Pulau Foundation and CoralEye, who provided aquaria, microscopes and transport. Our biggest „THANK YOU“ goes to the kids that made this day a very special one with their cheering enthusiasm and their dedication. Terima kasih banyak! At the “International Conference on Microplastic Pollution in the Mediterranean Sea”, held in Capri (Italy, September 2017), Miriam, Christian and Prof. Markus Lasut (University of Manado) presented a scientific poster entitled “From Coral Triangle to Trash Triangle - How the hotspot of marine biodiversity is threatened by plastic waste”. This can be considered as the spark that ignited the No Trash Triangle Initiative. 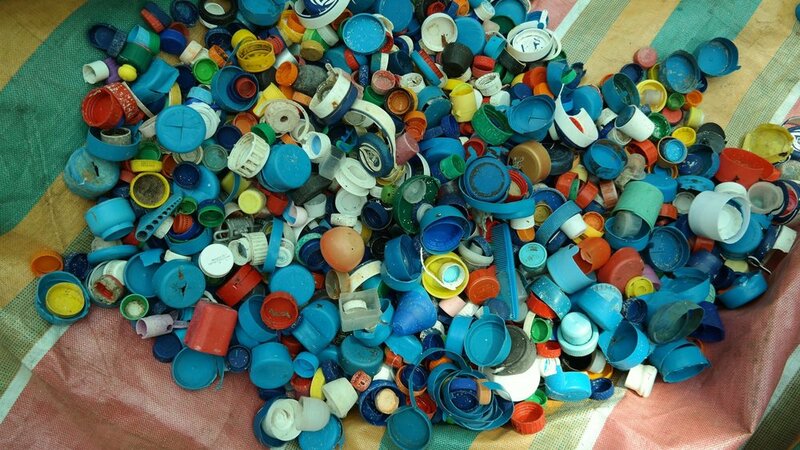 From this moment on, a series of meeting, efforts and initiatives were taken to find solution for the plastic crisis. At the “National Meeting on Marine Litter”, held in November 2017 at UNSRAT, the concept of the No-Trash Triangle Initiative was presented to the public for the first time. At the seminar “Waste management in the tourism industry” (March 2018) Christian presented the No-Trash Triangle Initiative and invited the participants from local NGOs, hotels and dive resorts from Manado, Bunaken and Bangka to join the activities. 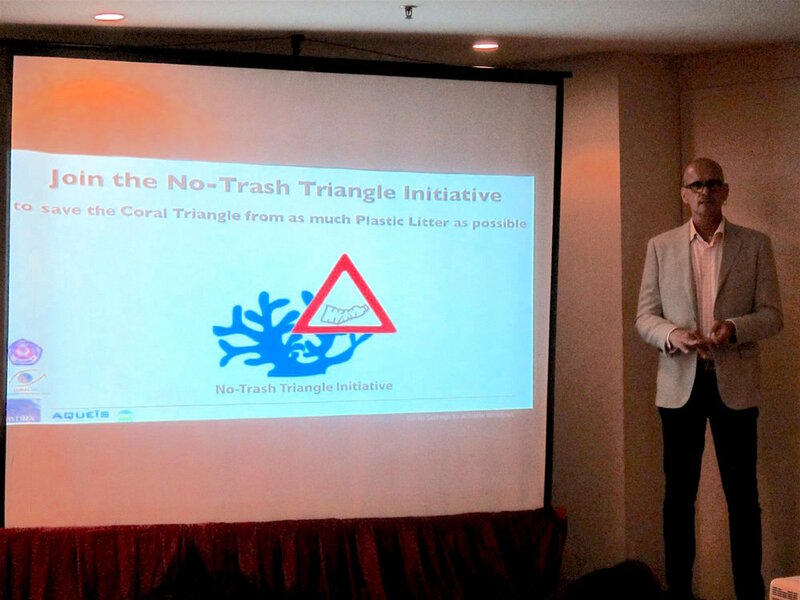 Our co-founder Prof. Markus T. Lasut presented the No-Trash Triangle Initiative at the “Oceans SOS Tech Summit” in Manado (April 2018). We were also honored with a special visit by influential figures in the fight against plastic who were in Manado for the “Celebrate the Sea Festival”. Marine scientist and educator Sarah-Jo Lobwein from Sydney and film maker Craig Leeson who made the film Plastic Oceans were especially inspirational and encouraging, and congratulated us on our work.